'Si Manis 17. Ep Sleeve. 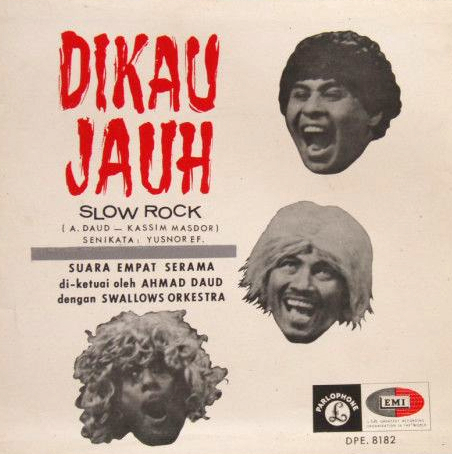 In 1965, Ahmad Daud was backed on a regular basis by The Swallows. Ahmad Daud starred in Filipino director, Ramon A. Estella's film entitled Pusaka Pontianak. Despite their inability to read the music scores that were distributed to them; prior to a soundtrack recording session, The Swallows were selected to provide the soundtrack to the black and white film. 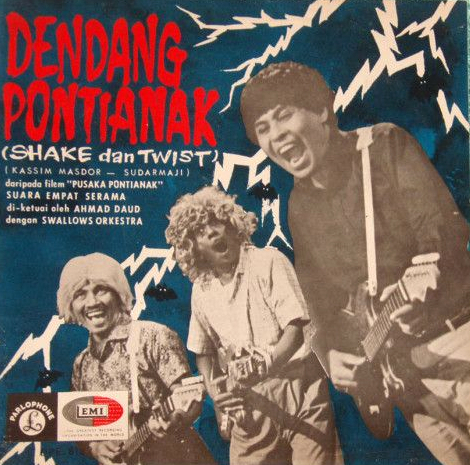 A song called 'Dendang Pontianak' (Rhythm of the Banshee) from the EP 'Dendang Pontianak | Shake & Twist', which was composed by Singaporean composer/musician Kassim Masdor was one of them. 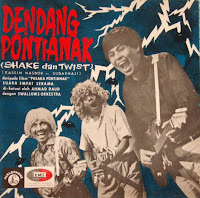 Although the film did not do well at the Box office, the song remains well-acquainted with viewers who have watched 'Pontianak' films from that era. The Swallows were also used by another black and white film the same year. 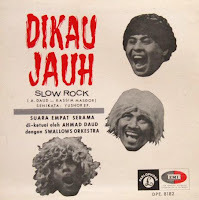 (1965) Directed by Omar Rojik, entitled 'Sayang Si Buta' (Love of the blind) starring Jin Shamsuddin, Sarimah and Dayang Sofia, another known song which was sung by Ahmad Daud and The Swallows were recorded. 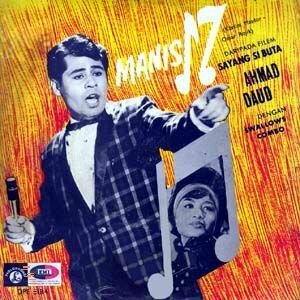 Entitled 'Si Manis 17', (That Sweet 17) it was used for the film soundtrack and it became one the few renown songs by Ahmad Daud. Ahmad Daud left the band in 1965 for Kuala Lumpur at the height of his filming/singing career and with his departure, a replacement for the famous front-man was needed. on the front cover of the film's EP. to provide for the motion picture soundtrack.